In August 2018, Newham’s Local Safeguarding Children Board published a Serious Case Review (SCR) into the death of a young person referred to as ‘Chris.’ Chris’ story shares many similarities with those of the young people we work with and is a real-life example of what drives us to improve life outcomes for young people by working directly with them as well as the professionals who work with them. However,the family later moved to in Newham at which point Chris enrolled at a local secondary school – regretfully, this meant he was separated from his friends and the support package put together for him at primary school. 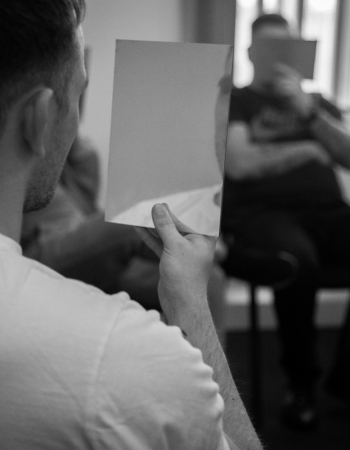 During this transition, without his trusted peer group and the right support, Chris’ behaviour became increasingly disruptive resulting in a number of fixed-term exclusions followed by a referral to a Pupil Referral Unit when he was aged 13. Following his exclusion from school, concerns were raised by police that Chris was a target for gangs given his vulnerability and association with other young people involved in gang activity. Around this time, Chris bought himself a bullet-proof vest and a knife. He told his mum that he was really scared and being forced to be part of things he didn’t want to be part of and he also admitted to being in possession of £600 worth of drugs. Chris’ mum raised the issue with statutory agencies and tried to have him moved out of Newham. Chris moved in with family in Lewisham, at which point he received his first conviction for possession of a knife. Records show that Chris explained that he had received threats via social media and was in fear for his safety. On 4 September 2017, Chris was at a playground in Newham with four friends when an unknown assailant passed by in a stolen vehicle and fired multiple shots into the crowd of young people. Chris was one of two young people shot at the scene and was taken to hospital where he died of his injuries the following day. When social workers saw the words “offender” or “gang” in a report they’d refer the case to YOT rather than considering themselves. Leaving an unmet child with complex needs rife for exploitation without wrap-around support. These inter-agency meetings focus on the highest risk young people in a borough rather than on the preventative work to be done with some of the lower risk young people. Greater investment in social care - the Council was advised to think about creating a safeguarding agency with resources that allow them to learn from good practice in the borough and outside while also having the capacity to do case-work through a safe-guarding, welfare-based lens. Better quality assessments - there was also a clear need to upskill professionals to better understand the issues young people face. Improving staff wellbeing - many of the professionals in this case had unimaginable workloads, worked with high-risk young people and cases and were clearly illustrating the effects of toxic stress which goes under-reported and not well understood. There is also a high staff turnover in the council which often leads to ineffective handover. 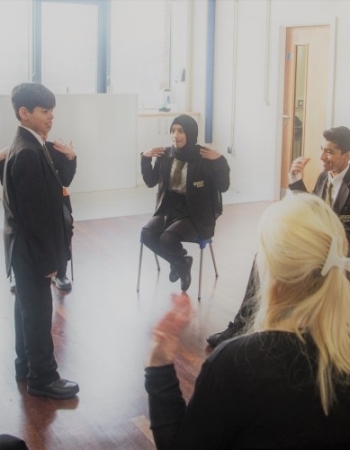 The SCR demonstrates the importance of ensuring that young people are going to school in an environment which protects their social and emotional wellbeing, and are being supported by professionals who understand (and respond to) their needs. Khulisa provides two key programmes which we know are effective in protecting vulnerable young people from further harm. Khulisa’s ‘Face It‘ programme, is specifically designed for children aged 11-18 who are excluded (or at risk of exclusion from school). Many of the young people we work with, like Chris, experience complex and multiple disadvantage including poverty, homelessness, untreated (or even undiagnosed) mental and anxiety health issues as a result of past trauma – often the root cause of their disruptive behaviour. Khulisa intervenes at this high-risk transition point to help young people learn new coping mechanisms to manage emotions, improve their concentration and focus, and support the development of their executive functioning skills (i.e. planning, making decisions, managing time, communicating effectively with others); basic social and emotional skills which can, and do, have a positive impact on their behaviour, sense of self-worth and confidence. Two of the key recommendations of the SCR were calls for better quality assessments of young people and improvements to staff well-being. The SCR highlights a clear need to upskill professionals to better understand the issues young people face – whether this is at the school level or within statutory agencies. The report also notes that many of the staff that worked in Chris’ case had unimaginable workloads, worked with very high-risk young people and were illustrating the effects of toxic stress which often goes under-reported and is not well-understood. One of the indicators of this in this case was a high turnover which at times led to ineffective handover. Over the years Khulisa have learnt that to sustain the positive impact of our programmes which work directly with young people, it’s imperative that the environment in which they are learning is also trauma-sensitive and developmentally-informed. This means that teachers need to understand how grief and trauma impact the body and brain, as well as how this affects early childhood development and presents itself as behaviour. That’s why we have recently launched our trauma-training programmes to support front-line staff. Beyond providing an understanding of how to recognise and sensitively respond to the effects of trauma when working with young people, we l also offer staff the opportunity to assess their own responses to compassion fatigue, vicarious trauma and to ensure that staff are safeguarding their own needs.